Site Settings in on the Move! Following customer feedback, we have moved the Site Settings and Subscription access from under the company logo to a more obvious cog on the right-hand side. For now, you will still be able to access site settings from the menu under the logo, but in August, the cog will be the only place to access site settings and subscription features. Do you have questions about any features inside Intuto? 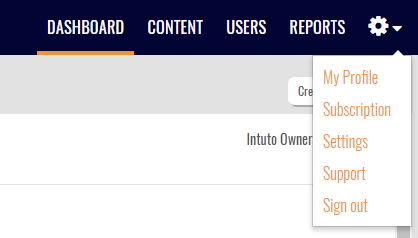 Along with performance improvements, we have also completed a number of minor developments to make your Intuto experience even better. As a result of the update, some of you may find that when you next login, the page doesn’t load perfectly or it comes up looking blank. If this happens, just refresh your browser and it will go back to looking normal.